The XDrum tambourine consists of a plastic frame in a half-moon design and is a paired design featuring curved metal platelets (zils). 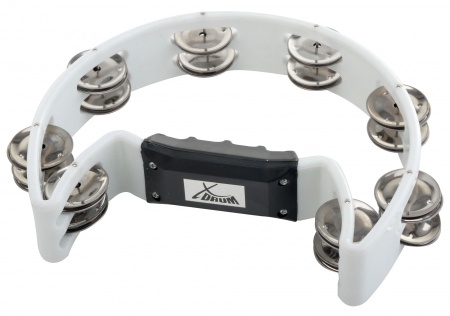 The tambourine can be beaten with fingers, palm, fist or stick, in such a way that one hits the head or the clamps depending on whether one wants to achieve a short hard blow on the zils or be loud with the chosen sound. In dances this instrument is often also beaten on the hip or leg. 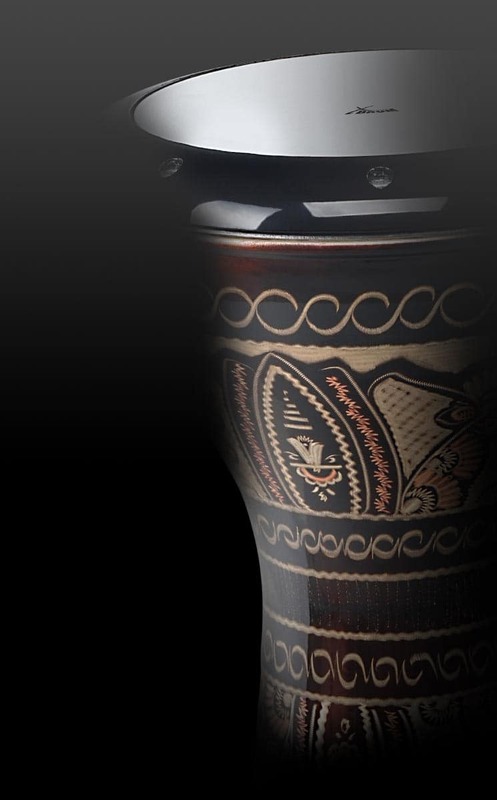 In addition, a longer zill sound can be generated also such as when the tambourine is shaken. Also by pressured on with the thumbs on the drum surface, different sounds are generated.